South Africa’s Garden Route is a legendary drive, somewhat akin to California’s famed Highway 1. Heading east from Cape Town on National Highway 2, you’ll head through mountainous terrain and then rolling hills that are somewhat reminiscent of Colorado, before your first glimpse of the Indian Ocean, which happens around Mossel Bay. From here, you’ll hit one charming seaside town after another, including George, Sedgefield, Knysna and Plettenberg Bay. The coastline here is dramatic, with many towering cliffs plunging into the ocean and pockets of fog peeking in and out of canyons. There is also a plethora of gorgeous beaches, as well as lagoons and estuaries, notably around the Knysna area. The atmosphere here is laid back and slow, but the hospitality of the locals shines through—something you’ll find throughout the country. There is significant development in areas, but by and large, you feel like this is a mostly undiscovered part of the world. You’re more apt to find Europeans or citizens of Johannesburg here than Americans. The region is especially popular with Brits, Germans, Dutch, and more recently, Arabic countries. Probably the only difficulty most Americans will find here is that you truly need a car to get around, as public transport here is difficult. And that means driving on the left side of the road, which does take some getting used to. It took us a couple of days before we were truly comfortable in this “backward” world of driving. Baz Bus does offer a hop-on anytime, hop-off anytime door-to-door bus service along the entire coast from Cape Town to Durban, but locals indicated to us that most of the backpacker-type world travelers haven’t yet discovered South Africa’s coastline and have not reached a critical mass just yet. There are a multitude of lodging options here, from bed and breakfast properties to comfortable hotels, but you won’t find a lot of enormous resorts or upper-end luxury properties. That said, we were always comfortable, from the hostel-type places with a surfer vibe to the family-run resorts that embrace the beautiful nature of the area. Many travelers come here for adventure, and there’s certainly a range of activities from which to choose. The world’s highest bungee bridge is located in Bloukrans, east of Plettenberg Bay. The bridge is more than 700 feet high, and jumpers have to walk a platform underneath the bridge deck to get to the bungee spot—that walk is a more harrowing experience for some! Plettenberg Bay is also home to the Jukani sanctuary, which rescues “big cats”—such as lions and leopards. This is not a petting zoo, these are wild animals, and the 90-minute tours are led by professional guides. 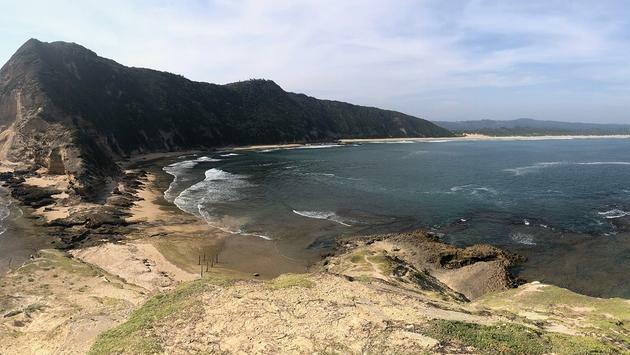 In recent years, the area around Knysna has become a popular spot for paragliding, and you’ll often see the colorful wings dotting the sky around the oceanside cliffs in the region. 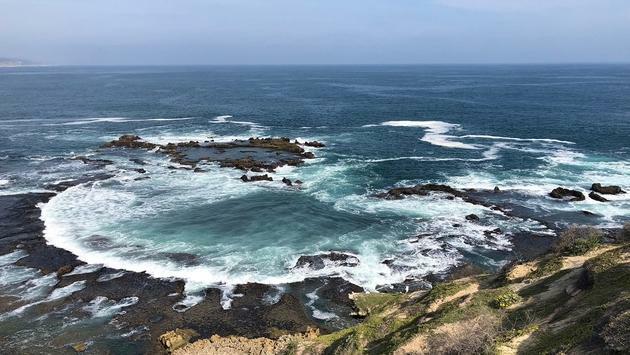 Other popular options in the area include stand-up paddle boarding, ziplining, hiking, beach/naturalist walks, treetop canopy tours, skydiving, biking, whale watching, sailing and even township tours. Whatever you’re looking for, if it’s a warm-weather outdoor activity, you’re likely to find it along the Garden Route. And if, instead, you’re looking for a relaxing getaway with endless beach views that you can enjoy, while watching the sun set, you’ll find that here, too—for hundreds of sun-soaked miles.